Sewing Like Mad: Sewing for Kindergarten - Sew Like My Mom. The last week of Sewing for Kindergarten is off to a great start with my guest Melissa from Sew Like My Mom. Besides being the woman behind a blog full of great stuff she also made The Darling Daisy Dress that I sewed and gave away two copies of a while back. 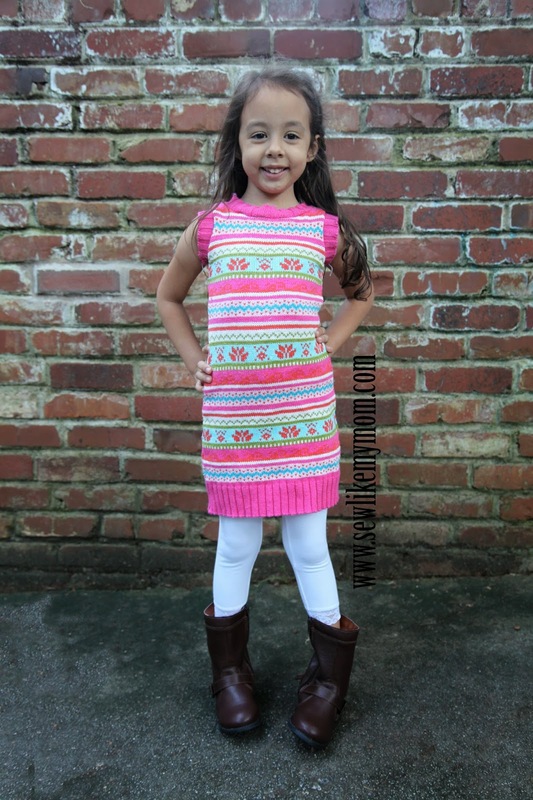 Melissa have made this great sweater dress for her daughter.